So glamorous, so girly! | Hello World! I think our lives should be more often like in the TV shows when it comes to have a latte with a good friend! Don’t you think?! Let’s face it: the Gilmore girls have “Luke’s dinner”, Friends have the “Central Perk”, Zoe Hart (Hart of Dixie) has the “Rammer Jammer”… and sometimes when we watch these programs we wish we had a place like that too! A place that feels welcoming, cosy and warm. A place that feels like home and different at the same time. Your place! 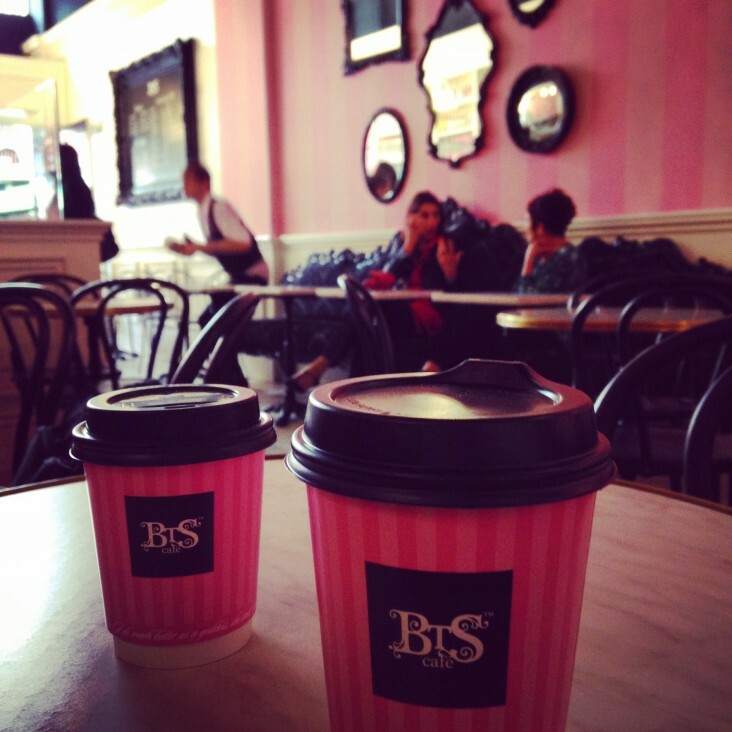 Well, a couple of days ago, my friend Nasim (from Iran) and I discovered an absolutely charming tea salon called BTS! 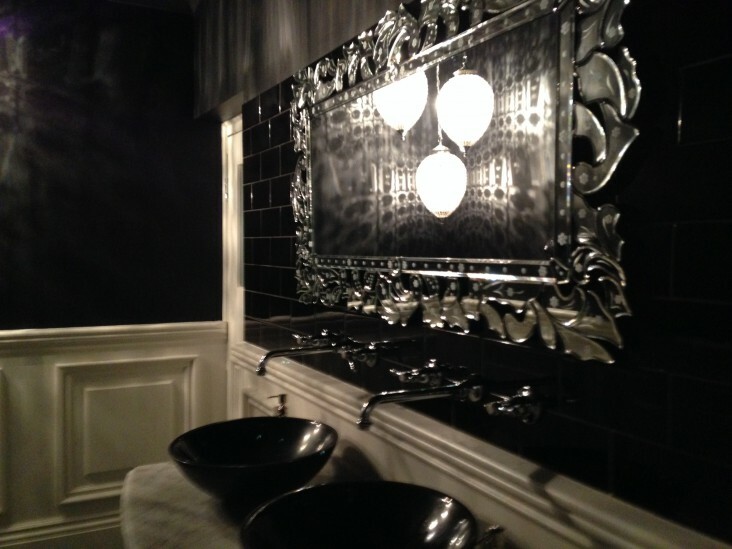 It is the perfect place to do some catch up with your girlfriends. I must say that the decoration, very “boudoir” style, reminded me of the film “Marie-Antoinette” from Sofia Coppola and we just felt like royalty! We sat on a beautiful and comfortable black sofa and we were heavenly treated by the friendly staff. 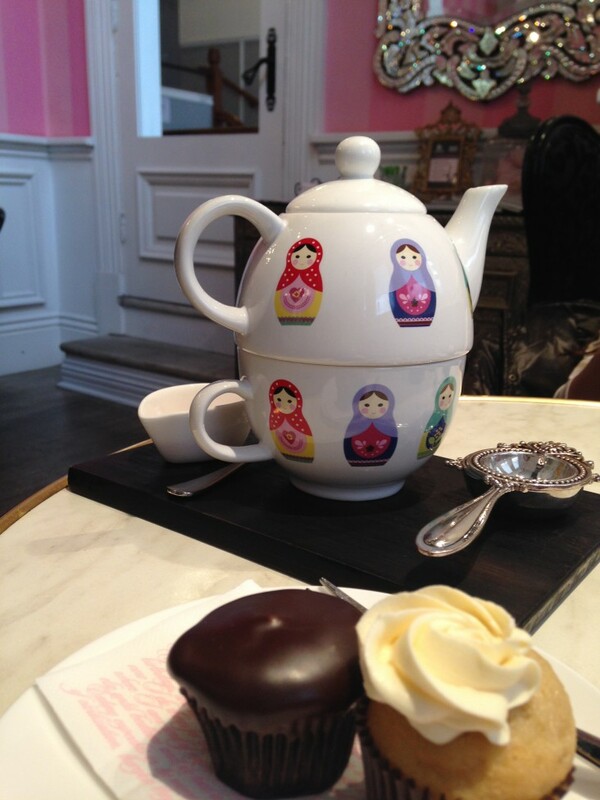 It is a very girly chic cafe where the pink and the black bring an elegant and feminine touch to the place! Even the cup to go are so chic! We spoiled ourselves with delicious latte: Nasim picked a coffee and I chose a tchai. We had a really interesting conversation and we did not see the time flying by, we were in another world. There were appealing and colourful cupcakes dancing on the counter… they looked delicious and from what I heard they are a real treat! I wish I had one… next time I will! If Blair Waldorf (from Gossip Girl) was having a tea party with her friend Serena, I bet this is exactly the place where they would meet!